Explain Your Offer & Boost Website Conversions By Up To 64% With An Affordable, High-Converting Animated Explainer Video Delivered In One Week Or Less! Trusted by over 11,000+ companies worldwide! Get a custom TV quality animated video based on proven conversion principles. Includes script writing, voiceover and best-in-class animation - all delivered in one week or less! 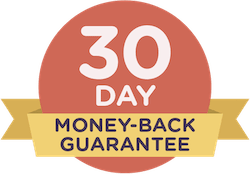 PLUS, enjoy a no-questions-asked 30 Day 100% Money Back Guarantee for total peace of mind. Super Priority 5-7 Day Delivery, at no additional cost! Every video includes the following fantastic extras - at no extra cost! "I was hesitating because of the very low price but I have to say it's the best marketing investment I've ever made. Great team and great support. Thanks!" "We have 3 videos and are very happy with them all. The videos helped us to reduce marketing costs and engage more customers online, delivering more sales with less effort. Their team script, voice, and animate to a high quality every time. Thanks!" Get a high quality explainer video from the company trusted by over 11,000 customers, including Nokia, Oracle, Mitsubishi, IBM, Berkshire Hathaway and many more! Every video we make is custom crafted to your business and offer, and our US based copywriters research and write your script from the most effective angle. Not only is your video highly engaging for your potential customers but it's actually super effective at increasing leads, sales and revenue from your website and ad campaigns. Our writers optimise each video script depending on your selected outcome so you can improve lead capture, ad campaign performance, sales conversions, or online engagement. After you approve your script, it goes to our voice recording studio, where experienced voiceover artists (available in accents of your choice) rehearse and record your script. Your project is then sent to our animation team who begin the creative task of creating your high performance, video advertisement. The end result is a fully animated explainer video, delivered in just 5-7 days, that not only explains your service, but promotes it in the most effective way possible. Explain your business, increase your website SEO, engage potential customers, and increase your SEO and conversions by up to 64%! You'll love your fantastic new explainer video or your money back. "Our video has had almost 5,000 views and has doubled our conversion rate from Adwords! Highly recommended. " After confirming your order above, you will receive an automated 'get started' email. This will introduce you to your project manager and give her contact details. It will also provide you with an online questionnaire you will need to fill in order for us to begin production. You will receive a script draft in 1-2 days, and once approved the video will be completed in a further 2-4 days. Changes are allowed at every step. � How do I get started? All our video packages come with a 100% money-back guarantee. If for whatever reason you are unhappy with the final product, you can email your project manager and she will authorise the refund. � What if I don't like the video? No, once you have filled out the initial production questionnaire (this usually takes about 5 minutes to complete), our team do all the heavy lifting, and just check in every few days to show you our progress, and see if you have any changes. � Will it require much of my time? Unlike other low-cost video providers, the prices above are for the full video package, inclusive of script creation, voiceover, animation and changes. No additional fees are required for complete, un-branded delivery of the video. � Are there hidden fees? Yes, you have ownership of the video to use it anyway you like. Licenses can be provided on request for music soundtracks and other elements used. � Do I own the video?